Shopping for Legend of Zelda Hats? The Hero of Time needs only his sword and shield to save Hyrule. 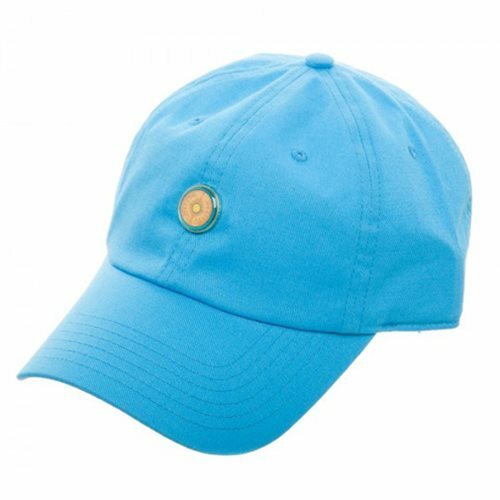 This blue "dad" style hat features a metal pin of Link's shield in Breath of the Wild. We don't recommend trying to block any deku seeds with this one though, you might find it a little small. Made of cotton twill, this Legend of Zelda Breath of the Wild Metal Pin Hat is adjustable to fit most heads! Ages 14 and up.